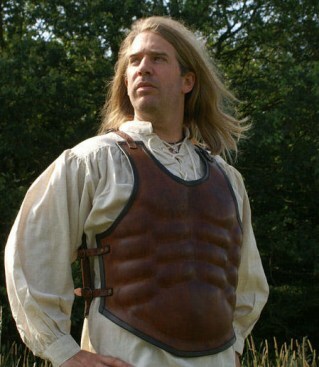 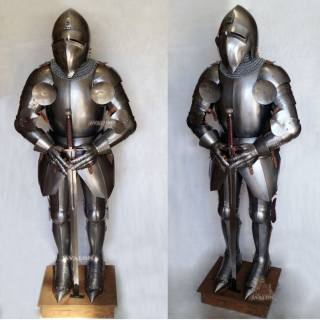 Our Medieval Armours are made exclusively by hand. 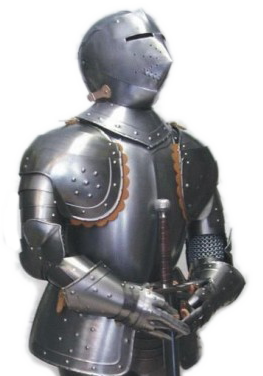 Realistic armor and equal to the original historic, we produce any armor (historical and fantasy armor), please send the drawings of the armor to make, estimates of work. 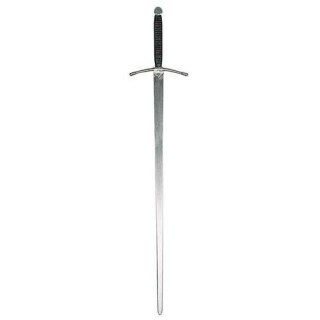 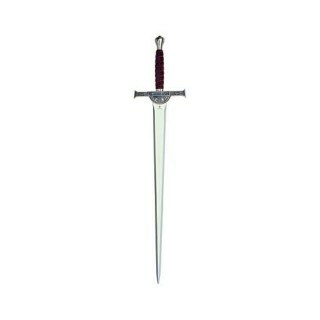 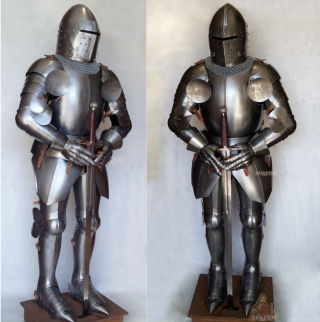 The craftsmanship allows you to control the thickness of the steel, distributing thickness, then the steel is thicker in the parts subject to combat, and thinner on the back for not having the armor too heavy. 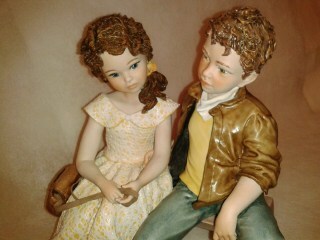 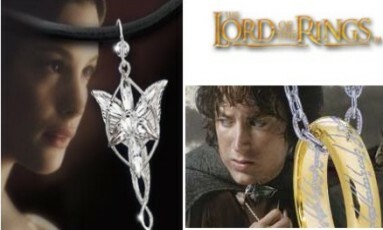 The dimensions are customized. 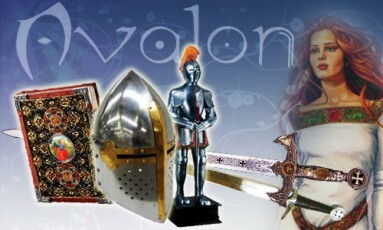 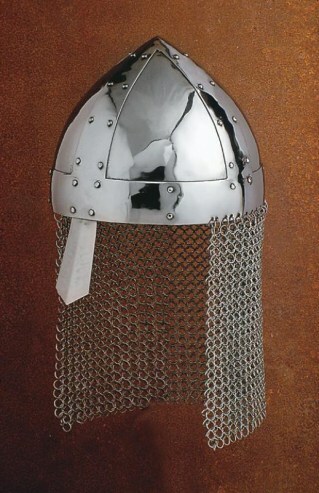 Medieval armor of aluminum with feathers, hand-finished leather and fitted with wooden base, sword or halberd choice. 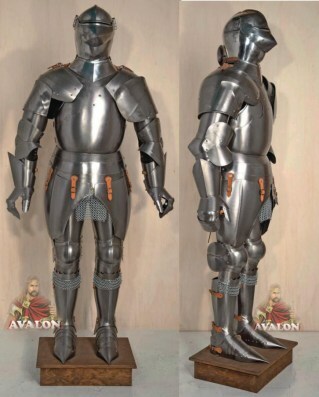 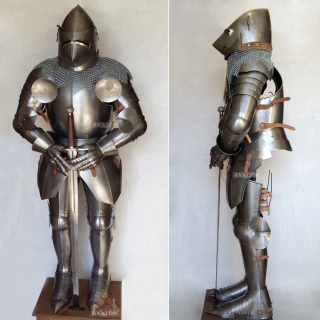 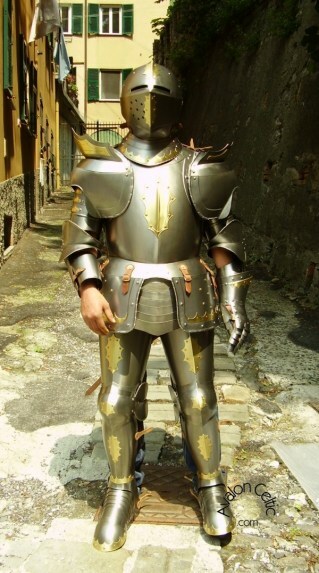 Medieval armor (aluminum material, dark in color), hand-finished leather and fitted with wooden base and pike. 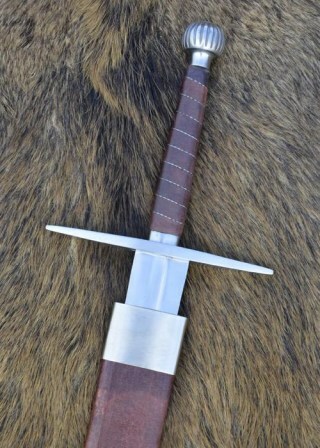 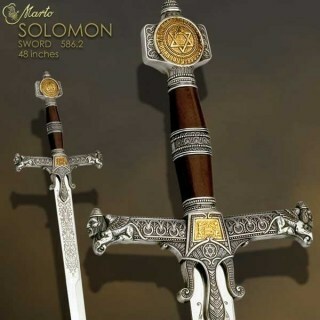 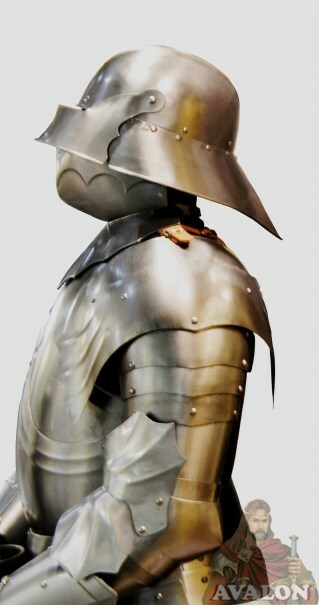 Medieval armor aluminum, burnished color, hand-finished leather and fitted with wooden base and sword. 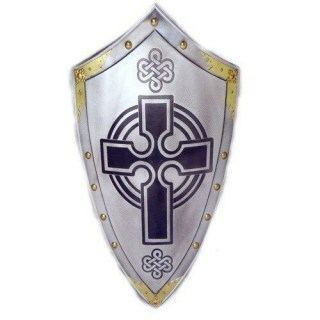 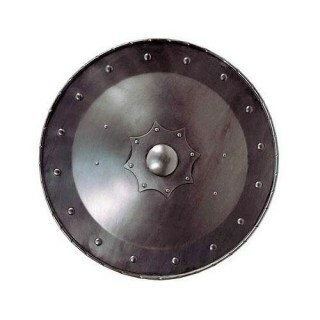 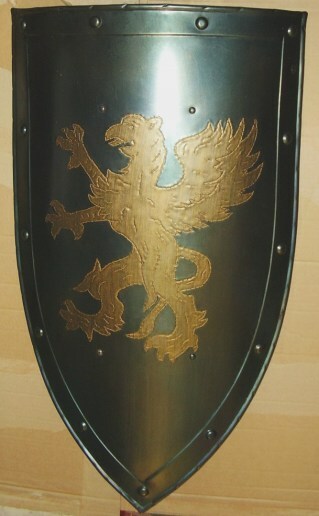 Medieval armor: coat of arms shield, armor aluminum exposure. 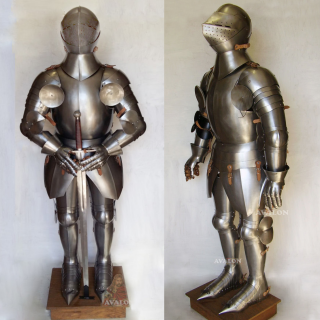 Armor Medieval Teutonic, fifteenth century. 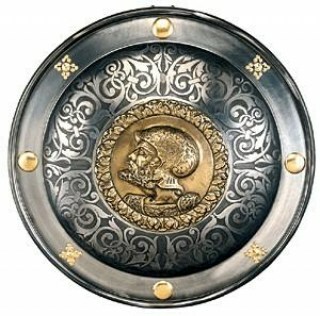 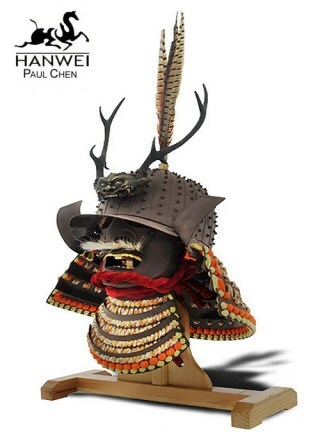 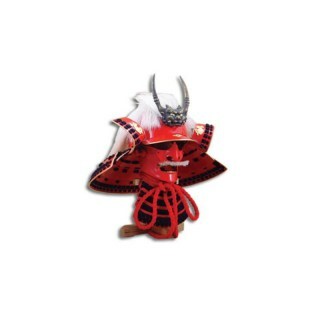 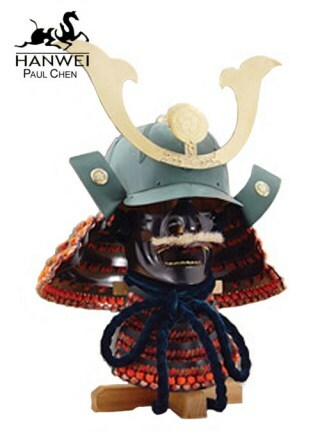 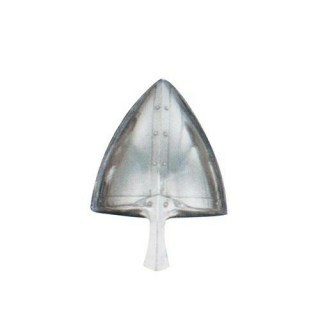 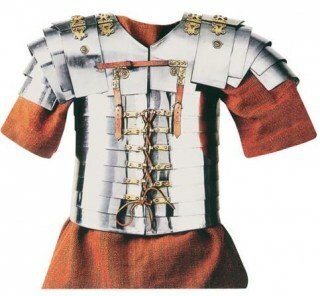 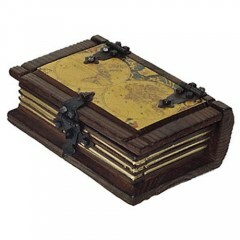 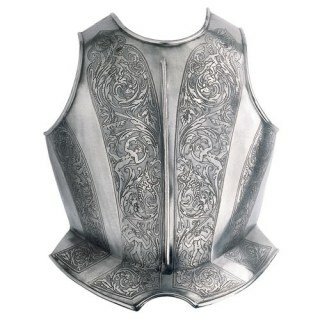 Armor consists of a hidden tile top with opening face. 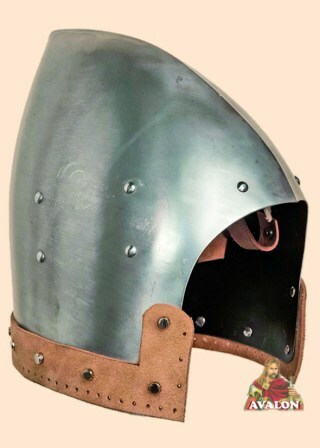 Medieval Knight Armor, composed helmet Bearded Venetian XIV Century high-cone with opening face Y, medieval armor made entirely by hand in Italy. 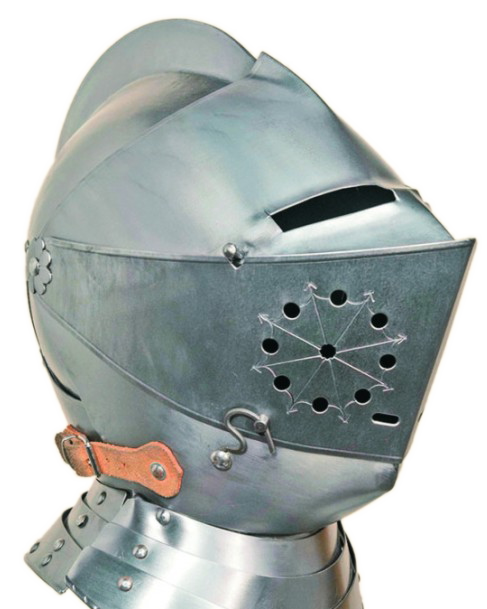 Medieval armor "Dei Corio", composed of hidden high-necked, with opening face T, surrounded by a rectangular bar reinforcement. 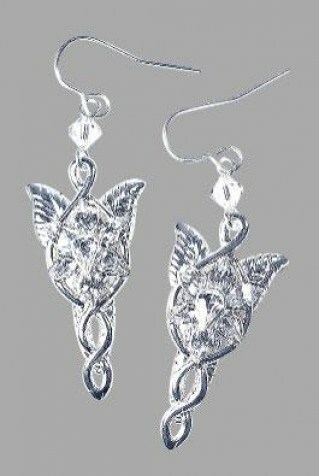 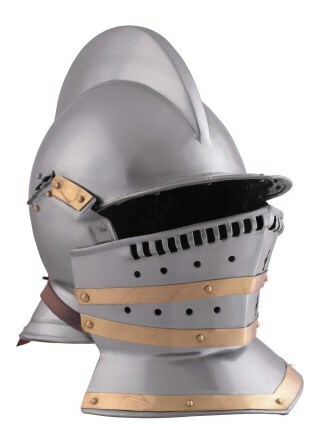 Price: 2329.42 USD. 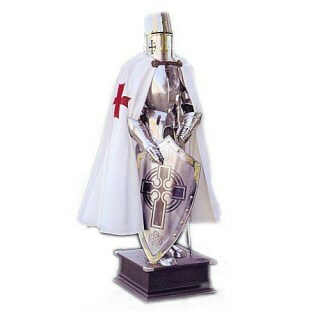 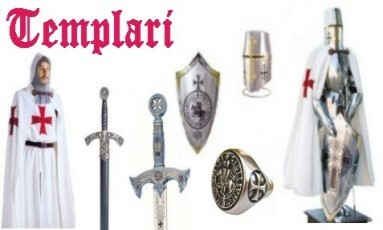 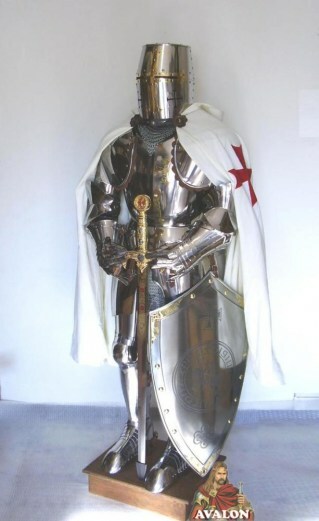 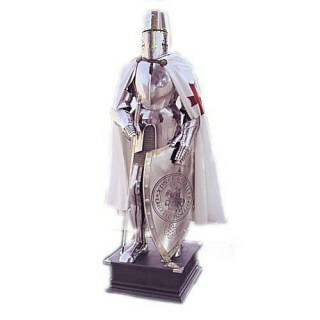 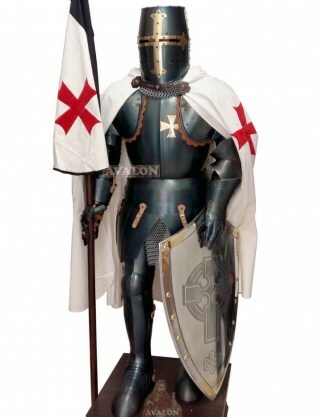 Armor Templar parade, resumes models invoking the symbolism of the fifteenth century Templar. 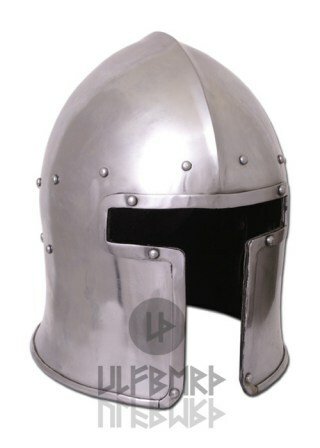 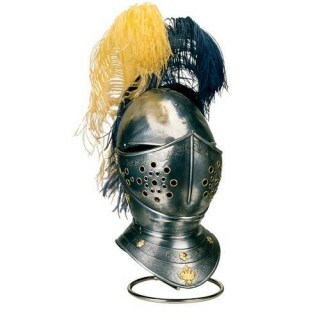 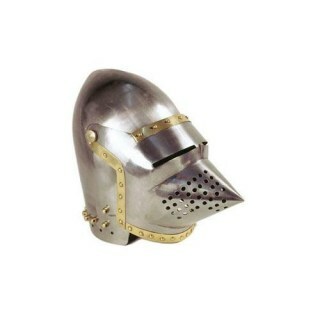 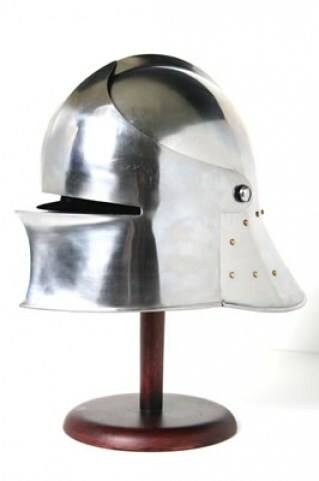 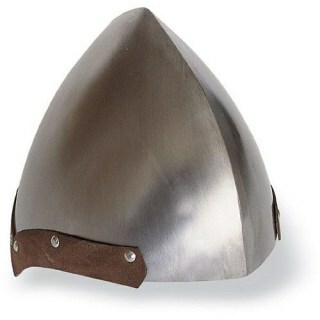 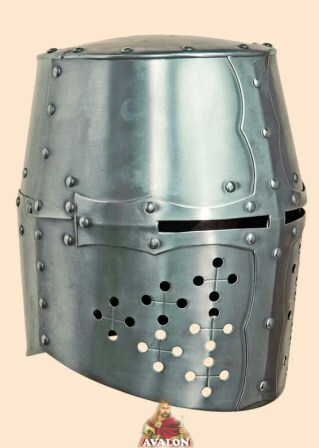 Italian Bascinet, Barbute helmet, circa 1470, battle-ready, Available in four sizes: M - L and XL. 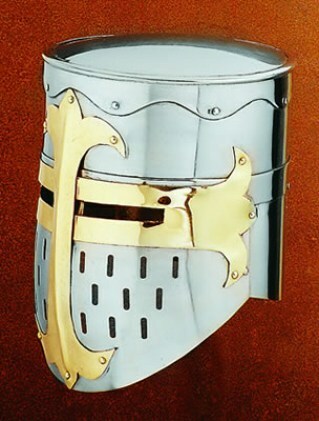 Please select an option! 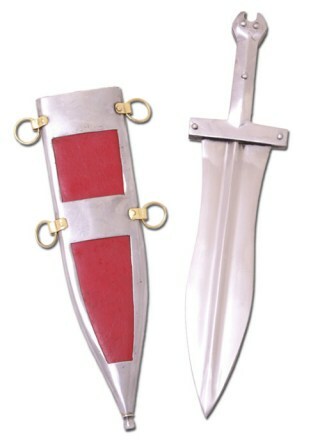 Choose M: 22.04-22.83 in./ 56-58 cm. 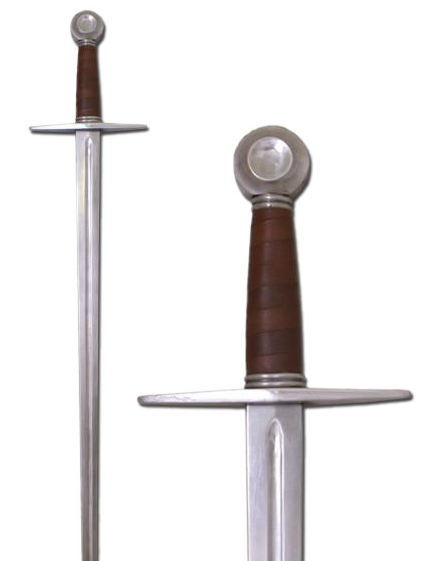 L: 23.22-24.01 in./ 59-61 cm. 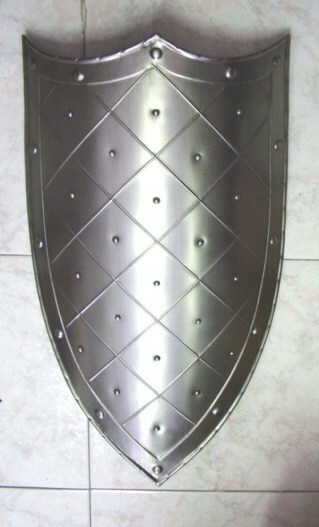 XL: 24.40-25.98 in./ 62-66 cm. 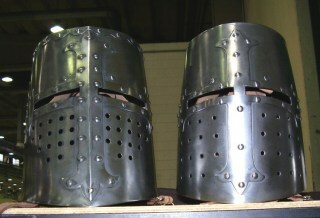 Please select an option! 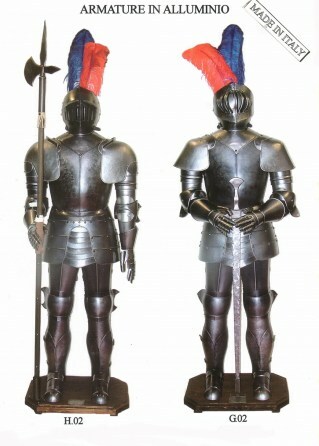 Choose L: 23.22-24.01 in./ 59-61 cm. 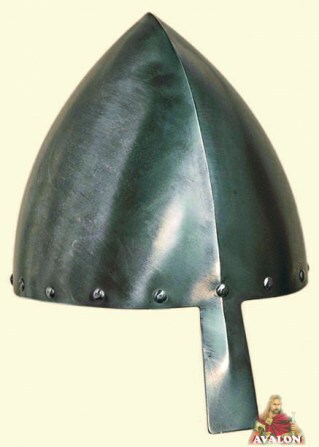 XL: 24.40-25.98 in./ 62-66 cm. 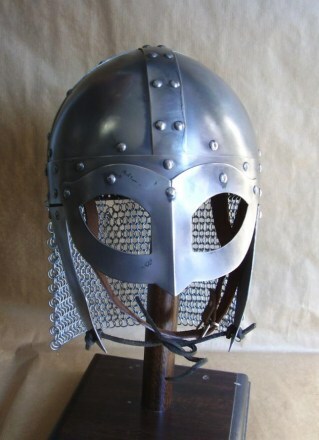 Norman Nasal Helmet in use during the Middle Ages, also known as Norman because it brought to the fore on the battlefields across Europe from that population. 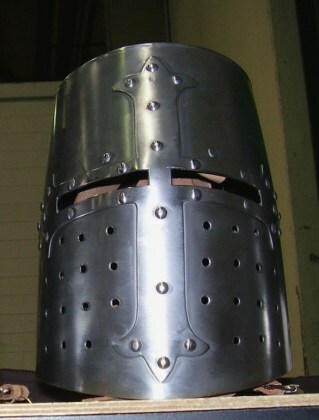 Norman Nasal Helmet, cask (an only skull protection) with noseguard, in use between the Xth-XIIIth century - Armor Costume Wearable. 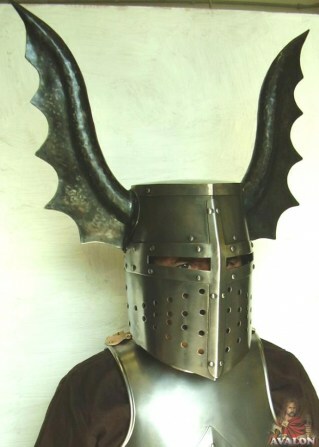 Medieval helmet fully wearable helmet also called Germanic. 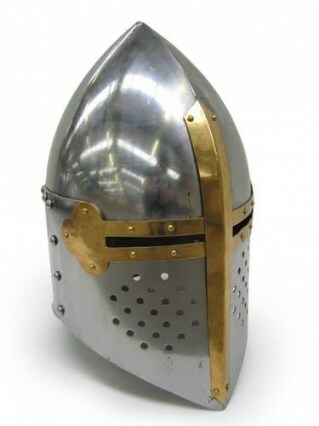 Templar Helmet with cross said: Great helmet, because it provided complete protection of the head, used by heavy cavalry. 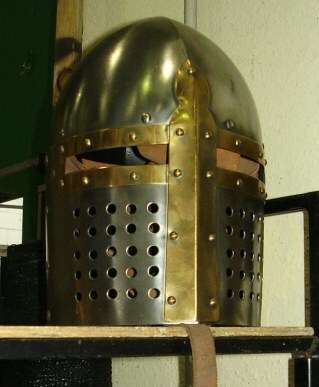 Medieval knight armor crusader templar helmet with golden cross in complete protection of the head, used by heavy cavalry. 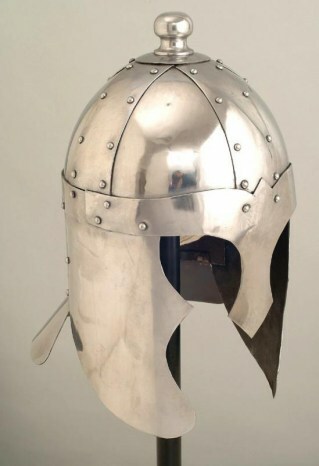 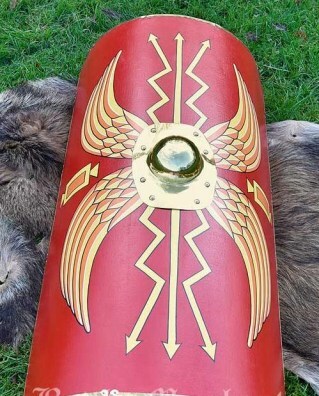 Battle- ready reconstruction of a Cervelliere helmet of the 7th Century. 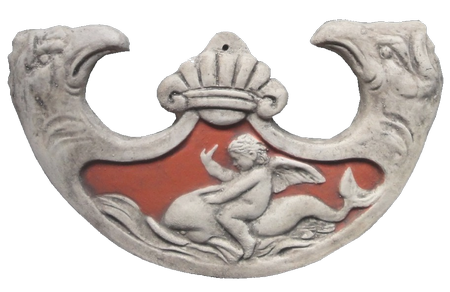 Tile pelvis to ovoid. 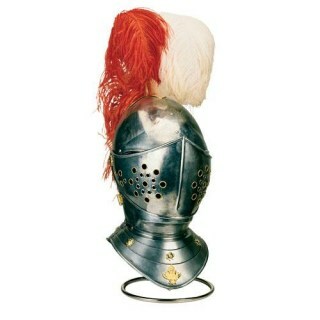 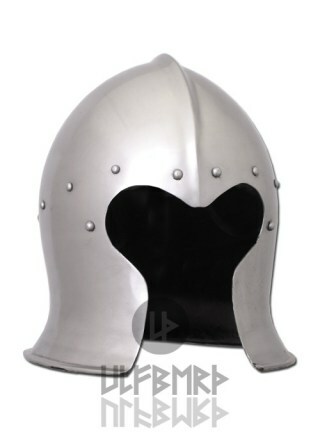 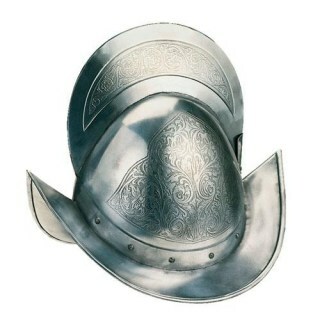 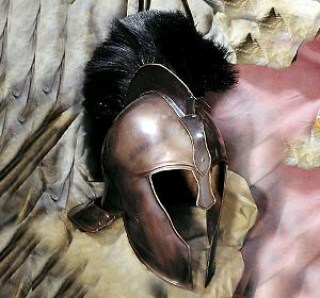 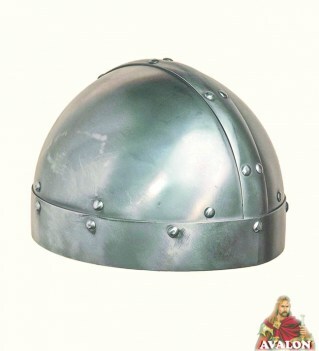 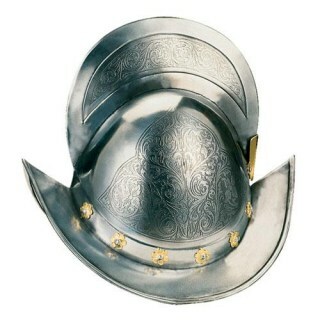 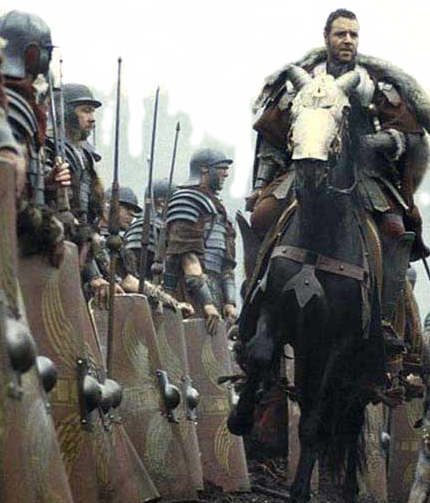 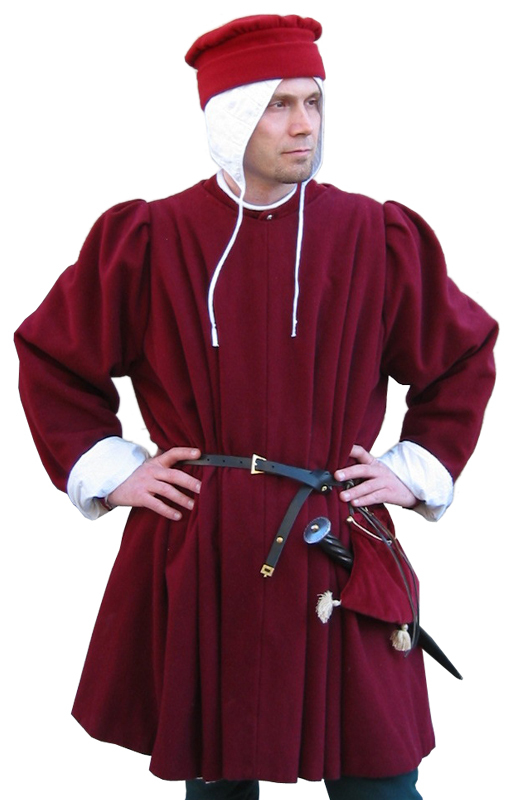 In various models the helmet was in vogue during the fourteenth century, used by both infantry that riders. 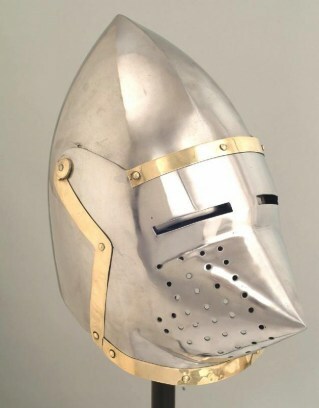 Attractive reconstruction of a crusader Templar Helmet - from ca. 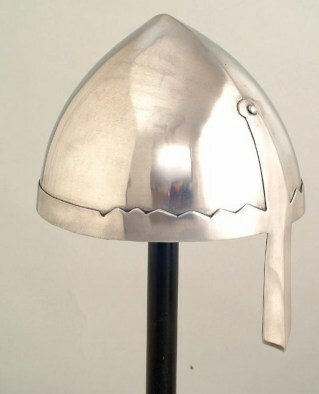 1180 a.d., also called pot helm, bucket helm and barrel helm. 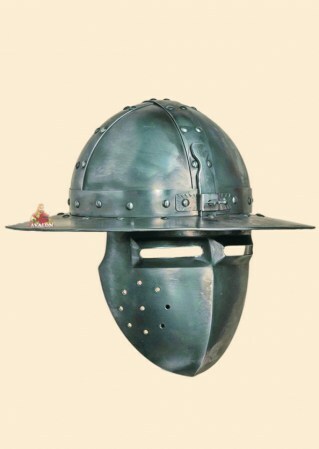 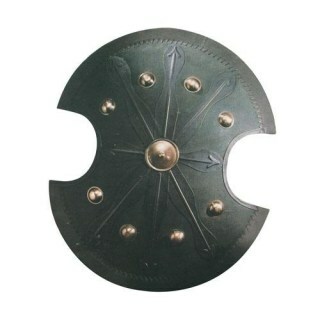 In particular, the Burgonet was used by the infantry, later became the cavalry, and became one of the most common types of minds of its time. 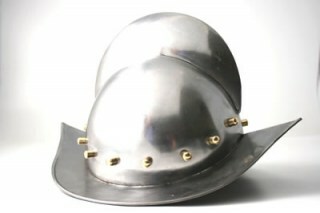 Armor of the skull derived from the ability to round profile, provided with a ridge segment of a circle with a tight little boat. 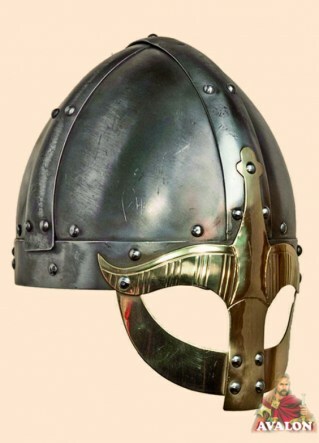 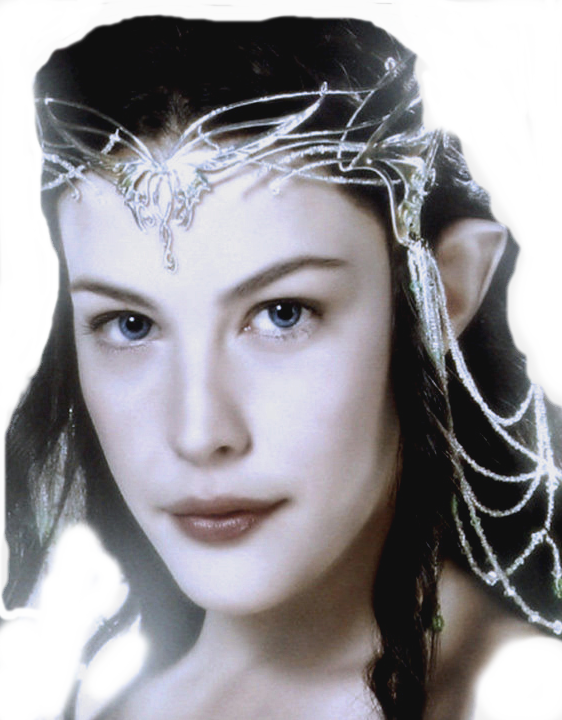 King Arthur`s helmet - wearable. 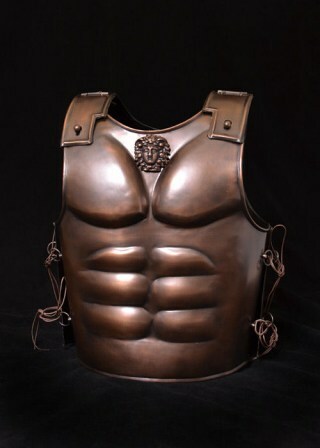 Wearable - Place of manufacture: IMPORT.